The last time the Patriots signed a running back away from the Jets, the unheralded Danny Woodhead emerged as a major contributor in New England. If reports are to be believed, they could be hoping that lightning strikes twice this offseason. 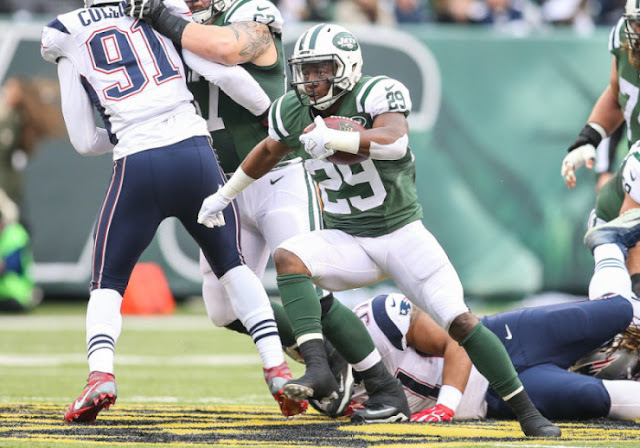 Multiple reporters have confirmed that the Patriots are amongst the teams interested in former Jets running back Bilal Powell. The New York Daily News has also reported that the Cowboys and Ravens are also interested in him, with the cap-strapped Jets hoping they can keep him. A fourth round pick back in 2011, Powell turned in a career season for the Jets in 2015, totaling 701 yards from scrimmage in just 11 games. At 5'10" and just 204 pounds, he won't be the big, early down bruiser that some fans have clamored for, but he emerged as a versatile compliment to Chris Ivory in New York. His ability in the passing game likely appeals to the Patriots, as he caught a career high 47 passes for 388 yards last season. His ball security is a major plus too, as he's only committed four fumbles (and lost none of them) in his four year career. With Dion Lewis and James White already on the roster, a pass catching running back would seem to be low on the team's free agent priorities. However, Lewis has struggled to stay healthy his entire career and is currently rehabbing his way back from a torn ACL. White flashed at times filling in after Lewis' injury, but Powell is the superior player at this point in their careers. They'd also be dealing a tough blow to the Jets, who don't have a ton of cap space and have already lost Ivory to the Jaguars this offseason. Will the Pats steal a productive player from their hated rivals? 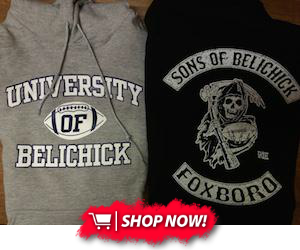 Stay tuned on PatriotsLife for whats shaping up to be a wild first day of free agency.